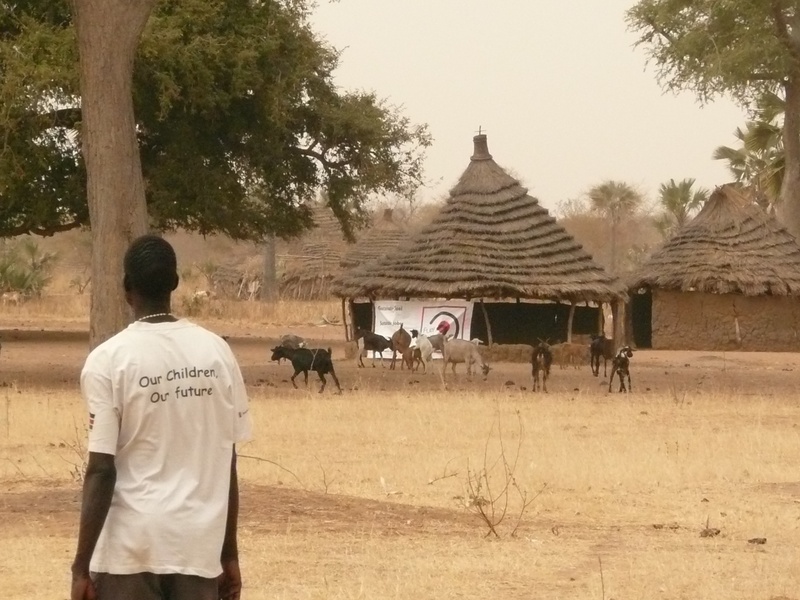 The Aheu Dit Women Group http://aheudit.blogspot.com/ is based at Kan Ajak village, Awiel East County, Northern Bahr el Ghazal State, Southern Sudan. It was established 5 years ago. 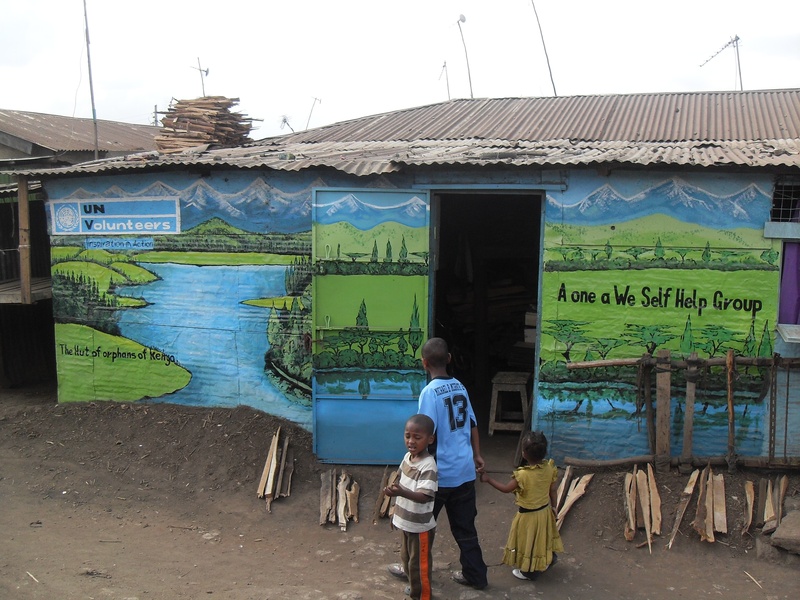 The group runs several projects which includes a Nursery and Primary School. These schools, and all the schools that have got a WFP feeding program, use fire wood. That means that somebody has got to collect that firewood. So, children are instructed to carry a piece of firewood at least twice a week. Failure to abide by the rules leads to punishment, so fear of this means that the children will cut any branch along the way to school. The first step for us is to ban the use of firewood in our school. A pilot program at the center will train as many Women as possible. This will lead into development of stoves that use briquettes for the schools. 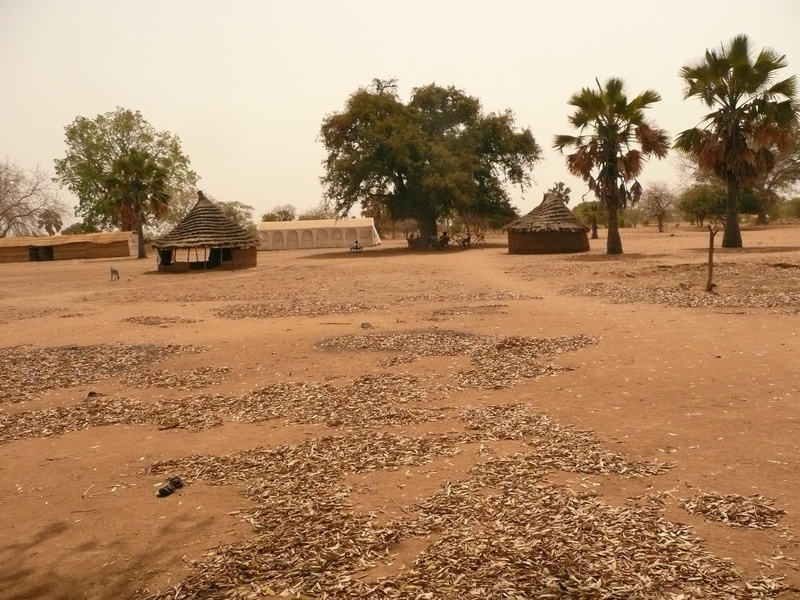 Samples were developed in Wao, South Sudan, using high quality dry leaves, which are abundant during the dry season. The group has an average of 271 registered women in Awiel East County alone. 70% of these women collect firewood for sale at the market. 100% of homes use firewood for cooking. An alternative fuel can provide relief for the women and children and a better income opportunity, while minimizing deforestation effects. Follow the project progress on the Aheu Dit blog, above, or keep an eye out on here, for updates. Location: Kiamaiko sub location/ward, Huruma location, starehe constituency Nairobi. Huruma chapel is located in in Huruma next to the Muslims academy and kariobangi market. Route numbers 14 from town, 28 through EastLeigh and 26 from Makadara area. Find a simpler connection. Please note that there are always avoidable jams along outer ring road. Start early. 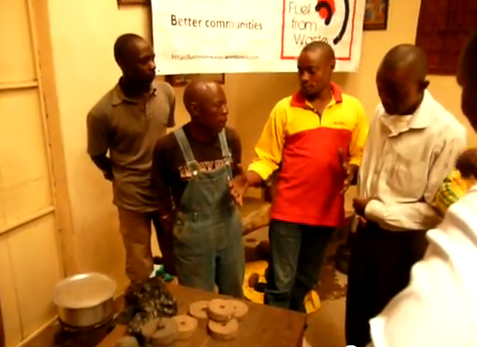 “A one A we self-help group is running a door to door campaign for fuel from waste. Its core business is production of briquettes. 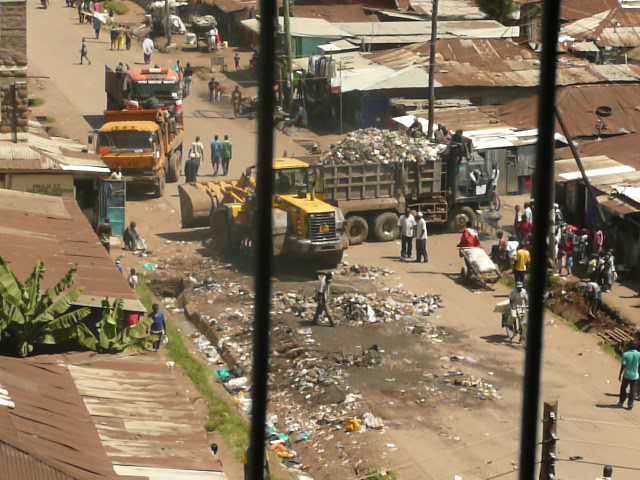 This involves a lot of waste collection and management. 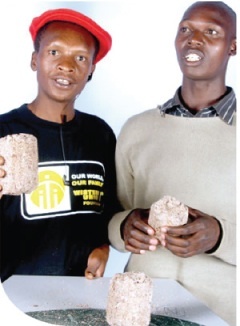 A problem is that not many people are using briquettes and the demand is already high. Many groups in this location are involved in income generating activities but a very small percentage is using waste to produce fuel. 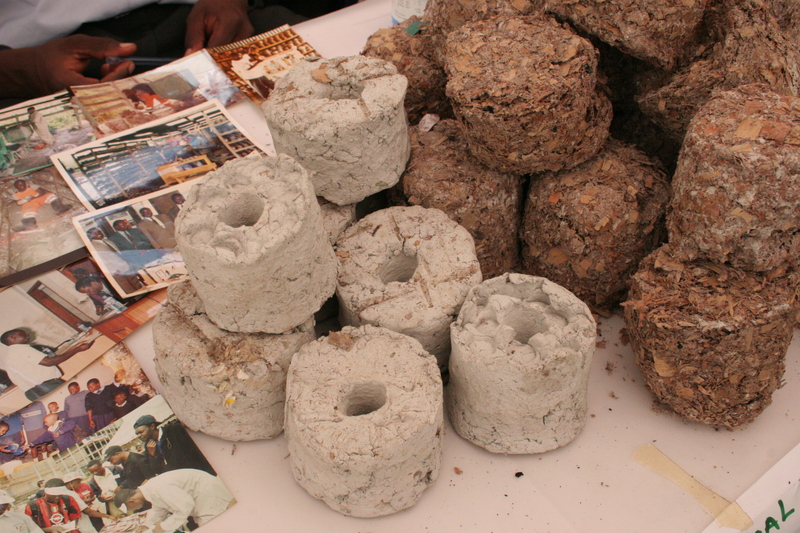 Production of briquettes also needs a lot of players and a well-coordinated materials collection plan. A one A we will demonstrate that briquettes production is a viable income generating activity that helps keep the environment clean. 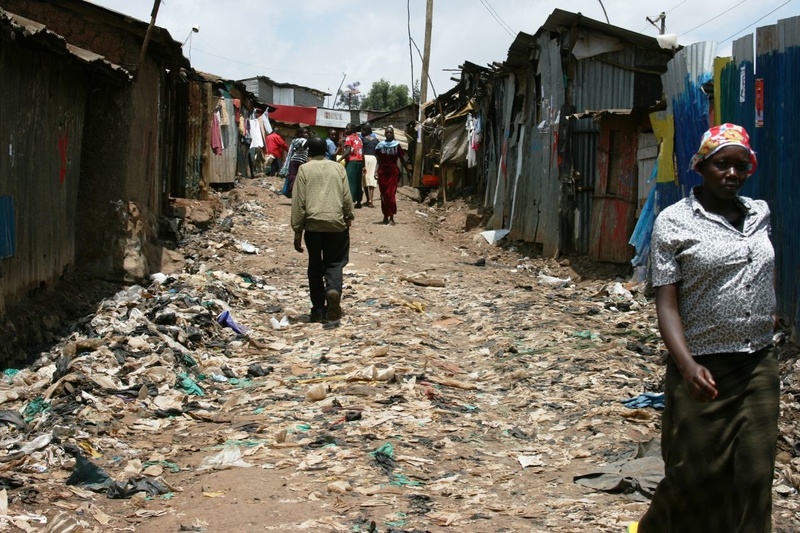 Kia Maiko is a slum area that hosts the largest goat meat market in Nairobi and produces tons of slaughter house waste. Firewood is the main fuel used for domestic and commercial cooking. We are planning to produce briquettes and stoves to meet the demand in this location. We shall also exhibit a machine that produces 50 briquettes and hour and is operated by one person; we are in the process of making it better. The event will also be a chance to introduce Fuel from Waste for groups in the neighborhood. In parallel, we will be running a Newma/Afenet meeting – our 3rd coordination meeting since the waste management at the Giraffe Center. We will have representatives from the African Fund for Endangered Wildlife, Afenet members and all other associated groups. We shall demonstrate the processes of briquettes production as a waste management initiative. 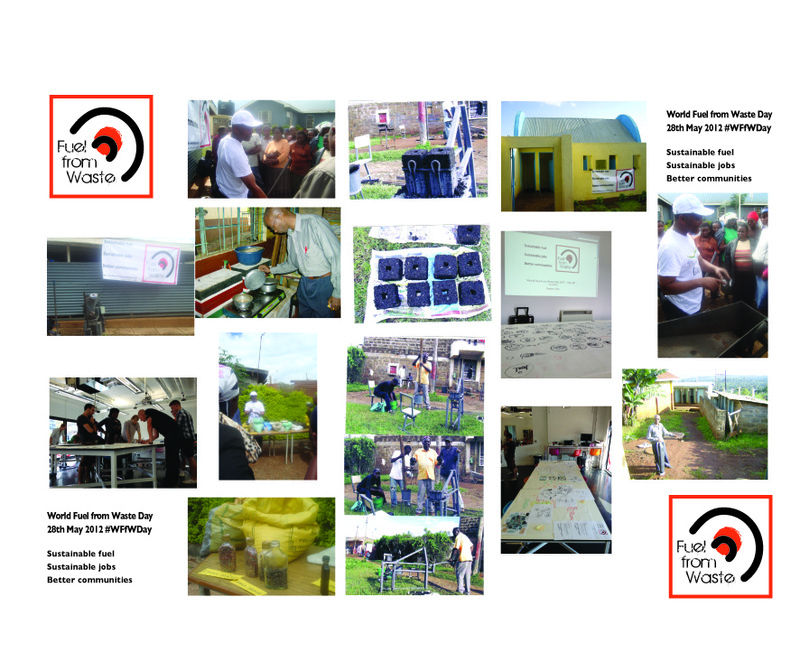 We shall also learn other waste management tips from all participants. 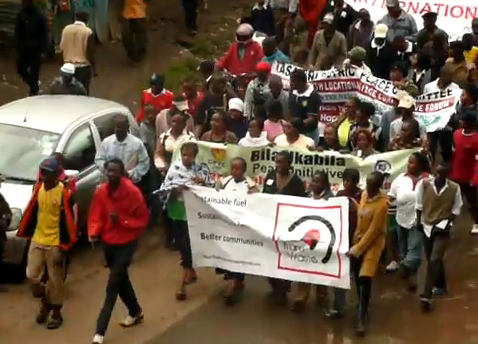 The Hut of Orphans of Kenya, a ‘Fuel from Waste’ network champion, and other associated groups, led the march in World Volunteers Day, in Nairobi.